These simple, yet classically designed sword hangers will hang your sword horizontally or vertically on the wall of your home or office. 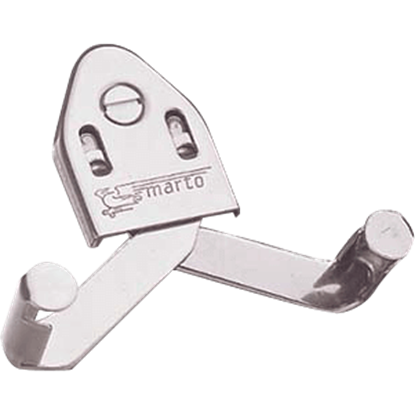 We have sword hangers that are universal for any sword width or length. 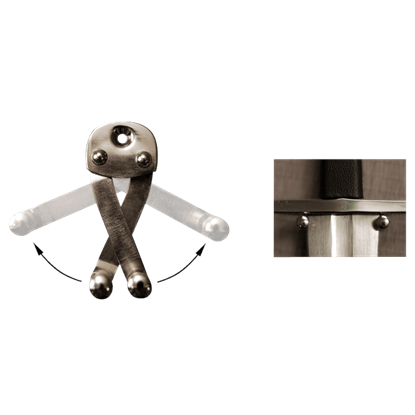 Sword hangers are an attractive means of wall-mounting a sword, while the mountings hold the sword securely, they allow the sword to be removed and replaced easily. 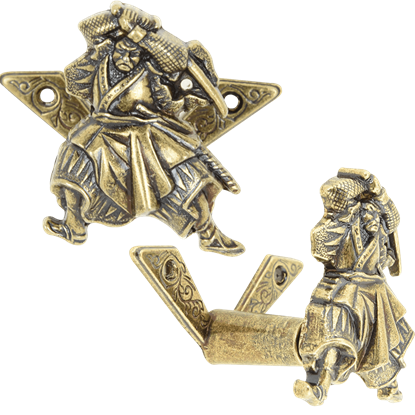 We offer a variety of sword hangers in different styles and finishes such as bronze, gold, silver or pewter. Most of these sword hangers have simple designs so they do not take away any attention from the sword you are displaying. You have had a long day. You saved the kingdom, defeated the enemies, and now it is time to go home. 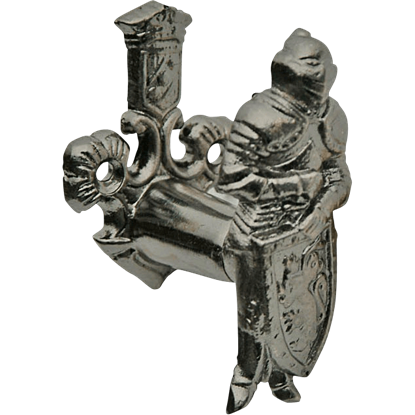 Hang your trusty sword up on this Armoured Knight Sword Hanger before you tuck in and get your well-earned beauty sleep! 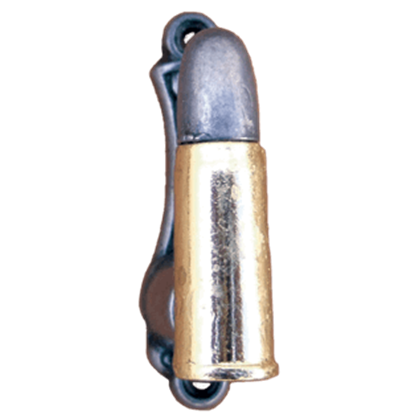 For a more modern sword display, or a more militarized one, look no further than this Brass Bullet Expandable Sword Hanger. The design of this sword hanger makes it perfect for military sabers, as well as a variety of other weapons. 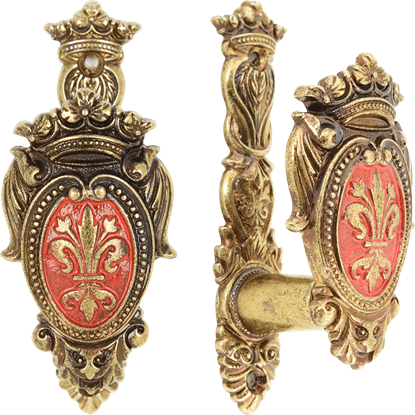 These fleur de lis crest sword hangers are sold as a pair and are meant to hang the sword by the hilt. Denix sword hangers are great for using with understated swords when you want to give your display a little extra something. 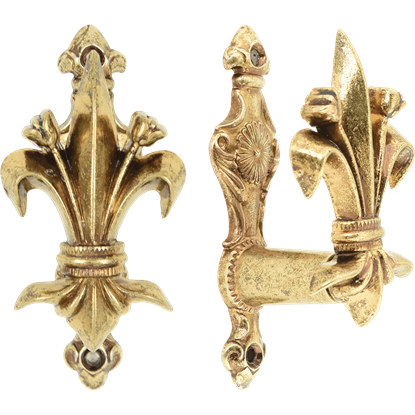 These Fleur De Lis sword hangers are sold as a pair and are meant to hang the sword by the hilt. Denix Fleur De Lis sword hangers are great for using with understated swords and just when you want your display to have an extra something. 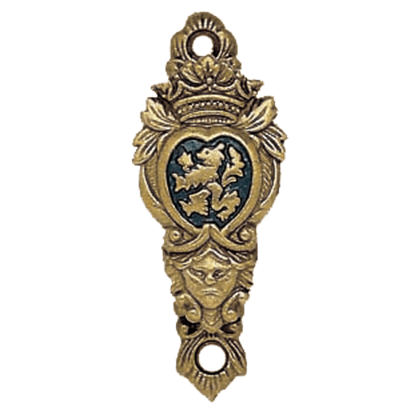 These brass heraldic crest sword hangers are sold as a pair and are meant to hang the sword by the hilt. Denix heraldic crest sword hangers are great for using with swords when you want to give your display a little extra something. These Samurai sword hangers are sold as a pair and are meant to hang the sword by the hilt. Denix Samurai sword hangers are great for using with understated swords and just when you want to give your display a little extra something. 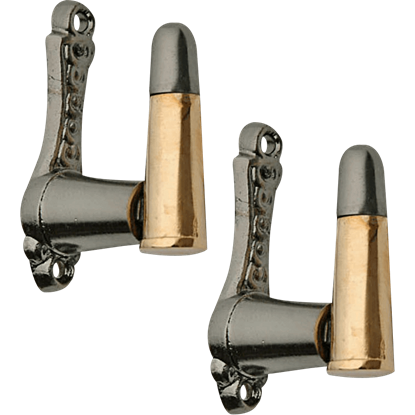 These Bullet Cartridge Sword Hangers are sold as a pair and are meant to hang the sword by the hilt. Denix Bullet Cartridge Sword Hangers are great for understated swords when you want to give your display an extra something. 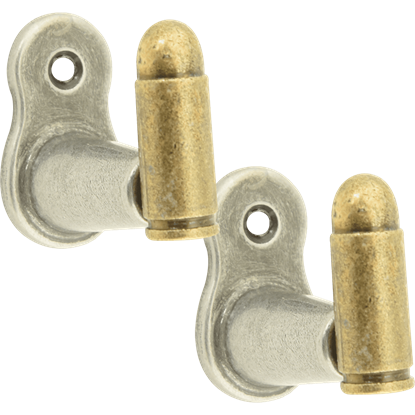 Stylishly display your favorite firearm, sword, or other weapon of choice on the walls of your home with the Bullet Sword Hangers. 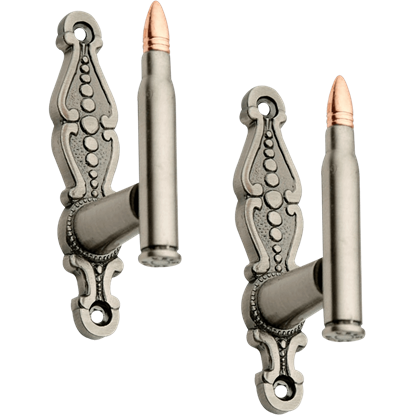 Each wall hanger in this set depicts a 30-06 bullet at the end and a scrollwork style wall mount. 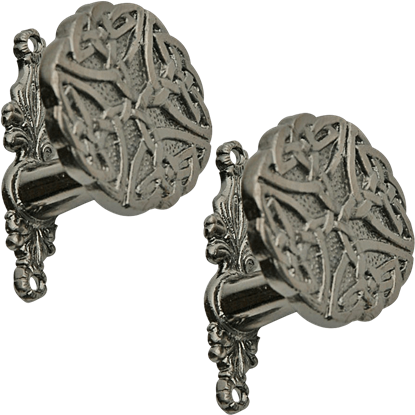 Celtic designs are fairly universal, in that they go well with just about any theme you can imagine. This Celtic Knot Expandable Sword Hanger serves well as a means to hang up your favorite sword or other weapon for display.